There is only one other mattress brand in the nation that is larger than Sealy. Among Sealy’s accomplishments in its 134-year history are the creation of the Orthopedic Advisory Board and the introduction of the innovative Posturepedic mattress. Sealy is known as the inventor of the box spring and innerspring coil. They also have patents for numerous game-changing technologies, including Pressure Relief inlays and Posture Channels. They even have a patent for their one of a kind latex. If you are looking for the ideal combination of value, support, and comfort, you just might be able to find it with Sealy’s Gel Memory Foam Series. Their gel memory foam is able to conform to your weight and unique body shape. Sealy’s goal is to make you feel like you are sleeping within, rather than on, the mattress with the Gel Memory Foam Series. This mattress also keeps your body temperature at a level ideal for deep, restorative, relaxing sleep. Classic memory foam is below the gel memory foam in order to deliver support by embracing your body. Proper body alignment and compression resistance are encouraged with the next layer, a Polycore support system. Sealy’s Innerspring Series features top quality quilting and textiles. For extra comfort, there are several layers of soft, supple quilting with strong cover fabric. For a cool sleeping experience, gel foam is also incorporated into these mattresses. You get body embracing conformance from the memory foam. You can pick from the Classic Coil, which is made of titanium alloy coils for a combination of deep down support and comfort, or the Sealy Stability Coil, which has individually encased coils to minimize motion transfer. You cannot talk about Sealy without mentioning their groundbreaking Posturepedic Series. There are now sub-series within the Posturepedic product line. Yet, all of the mattresses in the series help you get to sleep at night by aligning your body and supporting your back. These beds are made up of four layers. The top fabric has climate treatments for cooling comfort. Next are foam layers. The natural alignment and curves of your spine respond to the next layer of Sealy Embrace encased coils. Finally, the CoreSupport Center supports your hips and lower back. Sealy is relatively inexpensive compared to the other top-selling brands on the market. At the high end is the luxury Posturepedic Premier Hybrid Series, which sell for $1,300 and more. Both the Gel Memory Foam Series and Posturepedic Series start at $600 for queen-sized mattresses. And, Innerspring Series mattresses can be found for as little as $400. Serta is the largest mattress company in the country despite being one of the youngest having been founded in 1931. Traditional innerspring and gel-infused memory foam are the two major types of mattresses they offer. There is a long list of accolades and awards that Serta has won, including 2014 Women’s Choice Award, the position of Official Mattress of the National Sleep Foundation, and Consumers Digest Best Buy. Serta products are also used extensively in hotels, motels, and throughout the lodging industry. You may know Serta from its “Counting Sheep” commercials from the early 2000s. What Innerspring Mattresses Are Available from Serta? The Serta innerspring mattresses are made with a steel coil innerspring support system. There are various fibers and foams on top to offer surface comfort. There is also an array of innerspring constructions, such as their advanced Duet Coil Individually Wrapped Coil-in-Coil innerspring and their Continuous Support innerspring. The collections featuring Serta’s innerspring support systems are Bellagio at Home, inspired by the famous hotel, and Perfect Sleeper, designed to address partner disturbance, tossing and turning, mattress roll-off or sag, uncomfortable sleep surface temperature, and lack of support. The Sertapedic collection has a special SertaFlex Innerspring support system that offers increased surface coverage to supply enhanced support and comfort. And, Serta’s hotel mattresses use innersprings and are available to individual consumers. What Memory Foam Mattresses Are There? The Serta iComfort collection has a memory foam mattress featuring an all-foam support core that balances pressure relieving comfort with proper support. Memory foam is in the top layers of the mattress along with other fibers and foams. The state of the art iComfort collection tries to give more support where you need it most as well as enhance cooling comfort thanks to Serta’s Cool Action Gel Memory Foam. The Perfect Sleeper collection also has memory foam. Serta’s iSeries memory foam hybrid mattress combines the comfort of memory foam with the support of a traditional steel coil innerspring. 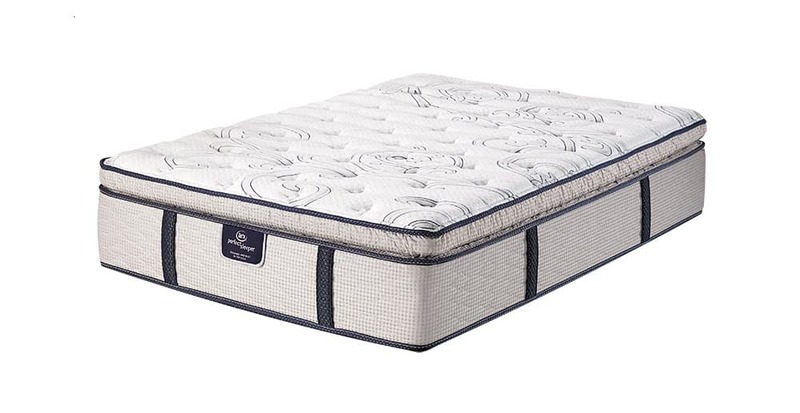 The iSeries utilizes Serta’s most advanced Duet Coil Individually Wrapped Coil-in-Coil Support system along with their exclusive Cool Action Gel Memory Foam. There are Trump Home iSeries and Bellagio at Home iSeries product lines. When comparing Sealy vs. Serta, the prices are fairly similar. They both start at a few hundred dollars, and the top of the line luxury mattresses are more than a thousand dollars. This includes the iSeries and iComfort mattresses. As with other mattresses, you get what you pay for. I did a little research online, and there are reports of the cheaper models exhibiting body impression development and sagging after a couple years. Poor motion isolation and noise are also possible in the cheaper models. Serta vs Sealy: What's the Verdict? So, which brand is better? This all depends on what you are looking for in a mattress. When it comes to Sealy vs. Serta, Sealy has the advantage when it comes to the less expensive models. However, if you are looking for the luxury treatment, you will not be disappointed with Serta.